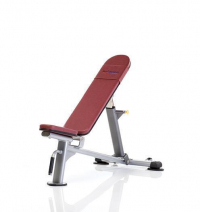 Multi-use exercise bench with wheels and handle for easy moving and small base for unrestricted use Integrated transport wheels and handle make the bench easy to move. 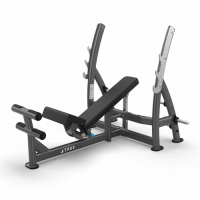 Integrated head enhances the premium aesthetics. 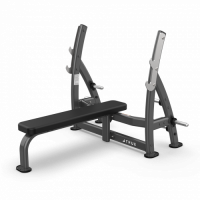 The 3-Way Press Bench with Plate Holders adjusts quickly and easily into 3 positions: supine, 30° incline, and 10° decline. 6 plate holders standard. 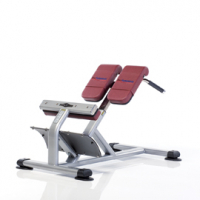 The 3-position seat and dual-position footrest accommodate a wide range of users for each exercise. 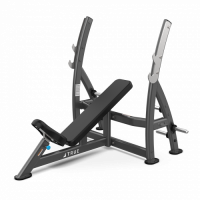 Fixed 30° angled seat back and easily adjustable 7-position seat provide maximum exercise benefits with replaceable chrome bar catches. 6 plate holders standard. Multiple angle adjustments or flat position (0º to -30º). Built-in handle for support while getting in and out of the foot rolls. Self adjusting foot rolls for easy access. 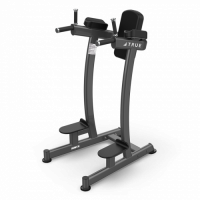 Built-in handles and wheels for easy roll-away. 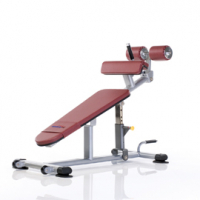 Convex foot plate provides natural stabilization throughout the extension. 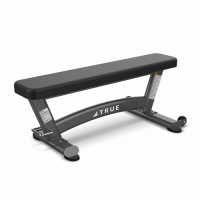 Fully adjustable trunk support with built-in handles.